A concise history from the world’s most famous wine critic. Looking back at the wine world over the past 30 years, it seems to me that we have moved from medieval times to a golden age. It’s nearly impossible to believe just how provincial the wine world was in 1978, the year I launched my journal, The Wine Advocate. There were no wines exported from New Zealand and virtually none from Australia (including Penfolds Grange, one of the greatest wines in existence). Only a handful of Riojas came to America from Spain, and its greatest wine, Vega-Sicilia, wasn’t available here. 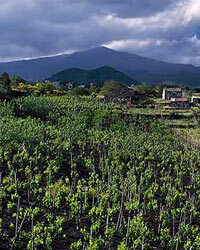 Italy was represented largely by Chiantis and an ocean of industrial jug wines from Bardolino and Valpolicella. California was largely a nonentity, and none of its so-called cult wines existed. South America was another non-factor: Argentina was unknown as a wine-producing region, and the value bottles from Chile were still a decade away. Even France, the reference point for so many of the world’s greatest wines, was a perennial underachiever; only a handful of Bordeaux’s most famous classified growths (those châteaus recognized over 150 years ago as making the best in the region) were actually producing palatable wines. And yet dramatic changes were about to occur—notably the ones I’ve outlined here. 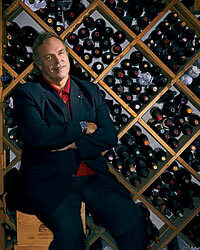 Robert M. Parker, Jr., the publisher and founder of The Wine Advocate, has been an F&W contributing editor since 1987.